Hard cider is popular because it is easily identifiable as something locally grown, fun and perhaps less mysterious than wine, Young said. Plus, there are the stories Young hears from customers such as, “Oh yeah, Grandpa had a barrel in the shed. Uncle Joe always made hard cider,” as they taste Tandem’s ciders with names like Smackintosh and Scrumpy Little Woody. But, as Tandem and other cidermakers in Northwest Michigan experiment with transforming apple juice into a more-sophisticated drink, and customers’ palates become tuned to the subtleties, what is being brewed is not your grandpa’s cider. It begins, of course, with the apple. And most of the apples grown Northern Michigan are not traditional cider apples. The Smackintosh is Tandem’s most popular hard-cider blend, and it’s a combination of the MacIntosh, Northern Spy, and Rhode Island Greening — all of which are considered table apples. “As the cider industry in Michigan grows and we start getting some really unique cider apples– apples that were bred for cider — then we’re going to start getting a lot more flavors and textures,” Young said. The seeds of the next generation of ciders are found in Tandem’s orchard, where 12 varieties of cider apples, with names like Harrison, Orleans Reinette, Ashmead’s Kernal, Porter’s Perfection, and Yarlington Mill, have been planted. These apples, once they’re ready in a couple of years, will not taste good for eating. That’s because cider apples tend to be higher in sugar, tannins and acids and therefore are more bitter than table apples. When fermented, cider apples retain more structure and body than table apples. “It’s going to change the cider industry in the Midwest,” Young said of the cider apples now being planted in Michigan. 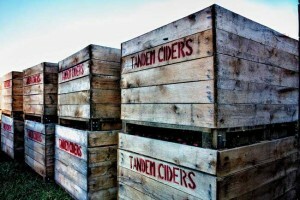 He sees a transition in the next few years as the industry struggles with, “How much are we fun, brightly colored packages and how much are we serious fruit grown with effort for a particular drink?” For now, Tandem Ciders gets apples from farmers in Leelanau County and the Old Mission Peninsula. And, unlike wine grapes, the apples can be stored all year, given the right conditions. The most important storage factor is constant temperature – something that was difficult to do this spring as Northern Michigan temperatures changed violently. However, there is a cold storage facility in Leelanau County and a unrefrigerated grower’s barn on Old Mission. During an unusually warm March 2012, the apples stored in the barn began to rot. “It’s things like that you learn over time that create the style of cider that can be interesting,” Lutes said. He won’t use the Cherry Growers press again, preferring to press apples in-house. What he said he did learn, however, was how a better texture could be achieved. With Tandem’s rack-and-cloth press, the must flows off and, from there, yeast is added and fermentation begins. At Black Star, the juice settles in a stainless-steel tank at around 45 degrees. This clarifies the juice and helps maintain a “fresh and vibrant style.” Heavy solids are removed from the bottom of the tank to get a clean juice. Then the juice is warmed and inoculated with wine yeast. The sugar content of the juice depends on the apple variety. Young said Tandem’s apples are between 11 ½ to 14 percent sugar, but the new hard-cider varieties are up in the 20-percent range, which will produce more alcohol content. At Black Star, a low-level of SO2 is added before the juice goes into the settling tanks — somewhere around 20 to 25 parts per million, according to Lutes. Once the juice is fermented, a small amount of bentonite is added as a fining agent, as they do with wines, to prevent protein hazing. Then they filter the juice to brighten it up before it goes to keg and then bottle. At Tandem, Young takes pride in a homemade filtration system made with ceramic tube filters and other parts scavenged from Menards. “It’s a cross between high-tech and hillbilly,” Young said. With his cross-flow system, the cider is moving parallel to the filter, so it slowly seeps through and all the stuff that would normally clog the filter gets swept away by the cider. With this technique, they can separate the yeast from the cider and stop the fermentation process sooner, leaving behind more natural sugar. What is produced is usually between 4 and 7 percent alcohol. After fermentation, some cider is stored in barrels, but most is placed in stainless steel tanks. At first, Tandem experimented with trying to stop the fermentation and capture natural CO2. That proved unsuccessful, so carbonating stones were added to the tanks. Black Star Farms began producing ciders 10 years ago, launching the product after experimenting with apple wine. 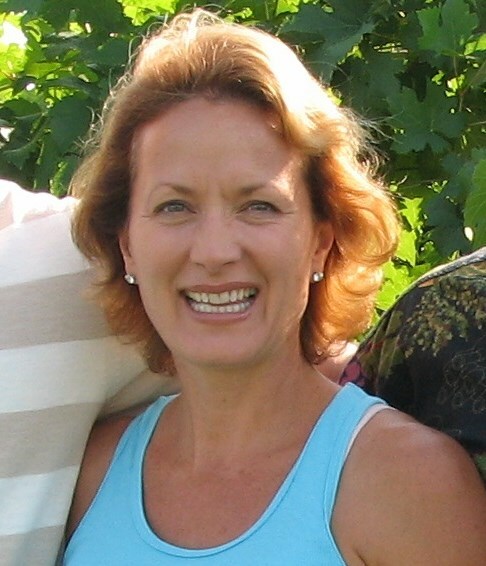 Apples don’t have enough natural sugar to produce wine, Lutes said. But he liked the idea of using local apples for a new product. “I thought would be a good way to continue working with apples and make a natural product,” Lutes said. Both Lutes and Young credit Mike Beck of Uncle John’s Cider Mill in St. Johns, MI, with helping to create the cider renaissance in Michigan. About 12 years ago, Uncle John’s had a booming sweet cider business when Beck decided to give hard cider a try. Beck sat on the Michigan Apple Committee, which awarded grants in conjunction with Michigan State University and the USDA. With a grant of his own, Beck started his own hard cider business and shared his knowledge with other cidermakers like Lutes and Young. Michigan, he said, and Northern Michigan in particular, is well on its way to becoming a major center for hard cider. More wineries and microbreweries are adding cider to their menus, including Left Foot Charley in Traverse City and Chateau de Leelanau in Suttons Bay. “You have some great producers,” Beck said, “people who know what they’re doing with fruit and yeast.” Michigan may be the third-largest apple production state, but it has more cideries than any other. “So we are setting the standard, for sure,” Beck said.